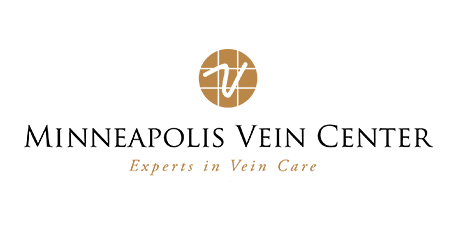 VenaSeal™ is one of the most exciting innovations in treating varicose veins and one of many treatment options available through Minneapolis Vein Center in Plymouth, Minnesota, serving the surrounding communities of Minneapolis, St. Paul, and areas of Wisconsin. The clinical team achieves excellent results with this new approach, which is less invasive than many other varicose vein treatment options. If you’re ready to say goodbye to unsightly and uncomfortable varicose veins, schedule an appointment with the Vein Center team to determine if VenaSeal is a good fit for your needs. Online scheduling is available, or you can just call the office to set up an appointment. VenaSeal is a revolutionary vein closure system that doesn’t require the use of heat, fluids, or sclerosant to achieve noticeable results. The system works by introducing a medical adhesive to the interior portion of the affected vein. Unlike certain thermal procedures, VenaSeal carries no risk of nerve injury. Clinical studies have demonstrated that VenaSeal is an effective and safe procedure. Because VenaSeal doesn’t require tumescent anesthesia, this procedure requires fewer injections and decreases the patient’s discomfort. Although it’s still a relatively new approach to treating varicose veins, VenaSeal is generating an impressive buzz in the medical community. Men and women who’ve undergone the treatment often serve as enthusiastic walking advertisements for the procedure. What happens during the VenaSeal procedure? The first step involves a comprehensive diagnostic workup to determine the full scope of your vein needs. Ultrasound imaging helps your Vein Center provider better understand the source of your varicose veins and assess the surrounding tissue structures. You’re always fully informed before making any treatment decisions. Your Vein Center provider discusses the process in detail, explaining how best to prepare for the procedure, what to expect, and how to improve the recovery process. Your provider begins the treatment by numbing the targeted area with a local anesthetic. Next, they insert a catheter into your leg, which may cause you to feel some slight pressure in the targeted area. Once your provider positions the catheter alongside the target vein, they deliver a small volume of the (proprietary) medical adhesive to the area. Ultrasound imaging allows your provider to guide the catheter during the procedure. You may notice a sensation of pressure or movement as she adjusts the catheter. Upon completion, she removes the catheter and bandages the insertion puncture. Does VenaSeal have side effects? VenaSeal is a catheter-based procedure and carries the side effects associated with any treatment that uses a catheter. Notably, you can reduce the risk of side effects by choosing a physician experienced in the VenaSeal procedure, like those at Minneapolis Vein Center. You can also mitigate your risk of side effects by following your Vein Center provider’s guidance regarding wound care, especially when it comes to taking precautions against infection. Your Minneapolis Vein Center provider discusses the risk of side effects during your consultation and advises you on the pros and cons of other procedures to help you make an informed treatment decision.